We’ve made some changes to how your accounting data is represented in Wave to help you get a clearer picture of what’s happening within your business. What’s new? Let’s break it down. Your transfer clearing account is an equity account that holds funds temporarily, until they are moved into another account that you own. What does that look like in practice? 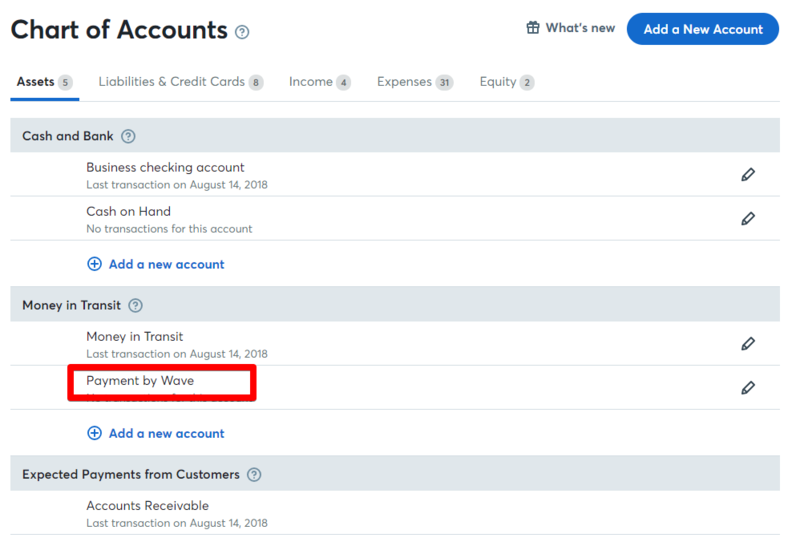 If you pay your credit card balance with money from your checking account, Wave will show that money as being debited to your transfer clearing account and credited from your checking account while the payment is in progress. Once the payment is recorded against your credit card balance, the funds will leave the clearing account (credit Transfer Clearing, debit Credit Card). The transfer clearing account gives you a clearer picture of what’s happening with your money while it’s in transit between two of your accounts. This is especially helpful when you’re running reports. What happens if you run a report, or want to perform bank reconciliation for a date that falls between the dates of the transfer? 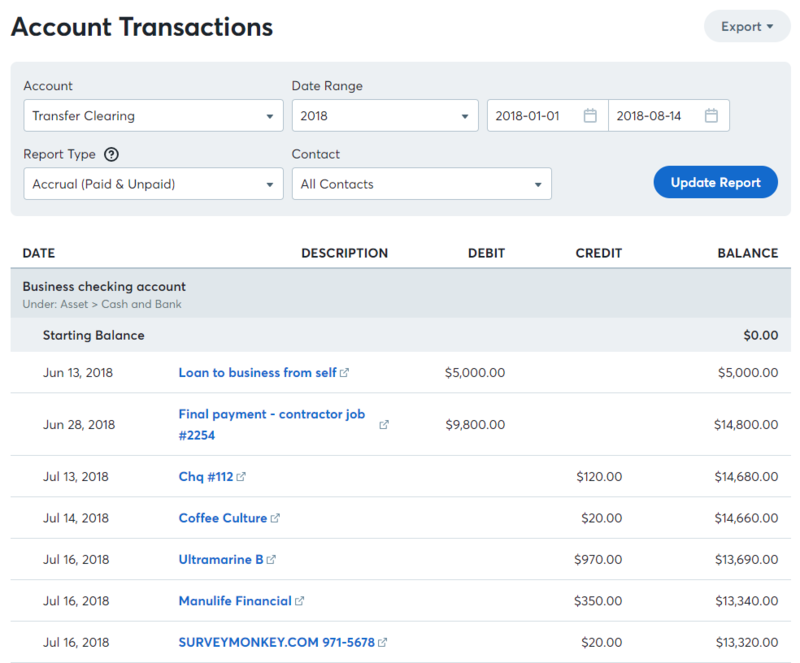 For example, if you paid your credit card on February 28th but the payment wasn’t recorded until March 3rd, you’ll see a those funds as a debit in your transfer clearing account. Your money in transit account is another holding account that’s automatically created for you when you accept your first online payment in Wave. This holding account is an asset account where your funds are held until they are deposited into the appropriate bank account. The holding account shows what’s really happening: the payment hasn’t hit your bank account yet, but it’s on its way. Every time you’re paid through Wave, you’ll see three transactions. As soon as payment is recorded, you’ll see an invoice payment transaction to your Payments by Wave account (the money in transit account). After payment is sent, the deposit transaction will be automatically imported from your bank connection (or by you manually). Once the bank-imported transaction is pulled in, Wave will automatically create a transfer between your Payments by Wave account and your bank account. That transaction represents the movement of funds from the holding account to your bank account. Previously, Wave reported your taxes in two accounts: Tax Receivables (assets) and Tax Payables (liabilities). Now, a tax account in Wave is a liability account which represents the net balance of the taxes you have paid or received. The difference between the two appears as the net balance of that account. If you pay and/or receive more than one type of sales tax, you will need an account for each type of tax. 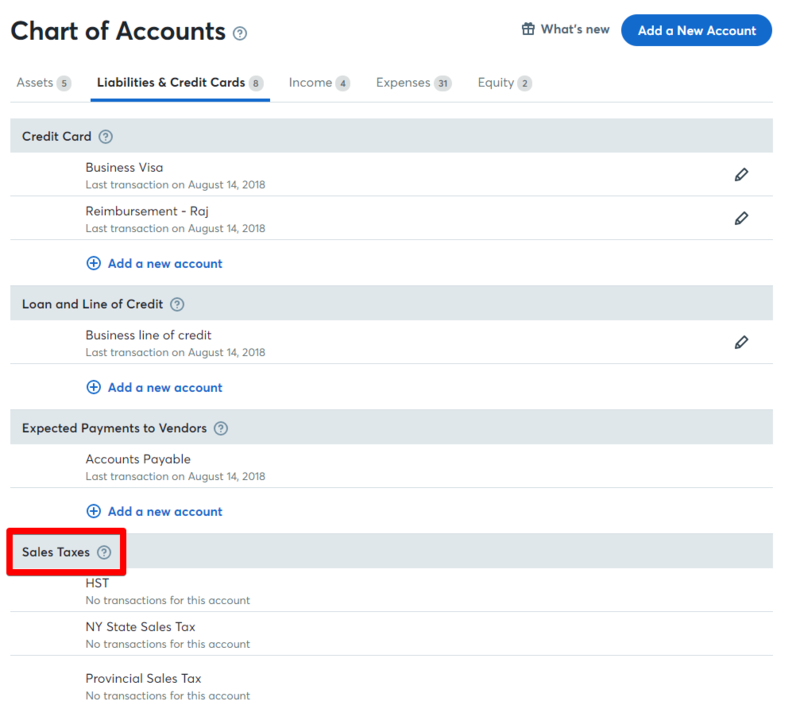 You may notice that that your asset accounts now reflect a lower balance in the Balance Sheet than previously; this is because all sales tax credits and debits are now consolidated in a liability tax account, meaning that no sales tax is recorded as an asset balance. You can find all of your sales tax customization tools under Settings > Sales Tax. To help simplify how these numbers are represented on your reports, think of all of your purchases, expenses, and bills as a decrease to your tax liability (if the tax is recoverable), i.e. this is money you can claim back from the government. On the flip side, think of all of your income and/or invoices as an increase to your tax liability, i.e. this is tax money you owe back to the government. If you paid more tax than you collected, this will be represented by a negative balance in your tax account, and may mean you’ll qualify for a nice income tax claim later this year.